Noha Waibsnaider is a leading food entrepreneur and change maker in the healthy, real food movement. Originally from Israel, Noha grew up on a diet of mostly unprocessed foods and snacking on dried fruit. While working at Unilever in brand management, she learned about the preservatives, chemicals, and processing that fills most of our foods. 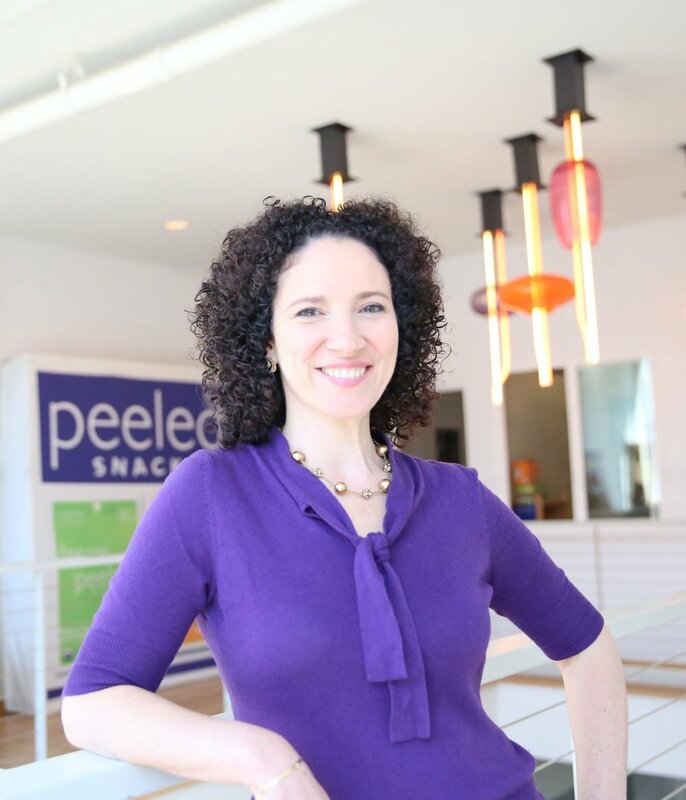 She realized there was a big gap in the marketplace and an opportunity to create snacks that make people feel good about snacking, with food that tastes great and is naturally nutritious. In 2005, she launched Peeled Snacks: a pioneering clean-label organic food brand with simple, recognizable ingredients. Peeled Snacks makes dried fruit with no added sugar or preservatives, as well as Peas Please and Puffs, savory veggie snacks packed with plant based protein and fiber. With her vision of providing tasty and nourishing snacks everywhere you need a snack, Peeled Snacks are sold in Target, Hudson News, Whole Foods, Wegmans, Giant, Amazon, and many other retailers. The company has been featured in Oprah’s O List and received Healthy Snack awards from Health Magazine and Fitness Magazine. Noha has been recognized as a White House Champion of Change, Women Presidents Organization’s 50 Fastest, JWI Woman to Watch, Columbia Business School’s Distinguished Alumna, and received the Ecademy Award for Entrepreneurship. In 2007, Noha founded the NY Foodie Companies group to promote sustainable local food businesses in NY, now with 1,200 members. She’s a frequent speaker on social impact and women in business. Noha has an MBA from Columbia Business School and BA in Spanish and Latin American Studies from American University. She lives in Brooklyn with her husband and two kids.